Over the past two decades, French artist Pierre Huyghe has produced an extraordinary body of work in constant dialogue with temporality. Investigating the possibility of a hypothetical mode of timekeeping -- "parallel presents" -- Huyghe has researched the architecture of the incomplete, directed a puppet opera, founded a temporary school, established a pirate television station, staged celebrations, scripted scenarios, and journeyed to Antarctica in search of a mythological penguin. 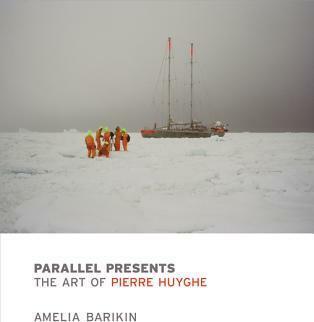 In this first book-length art historical examination of Huyghe and his work, Amelia Barikin traces the artist's continual negotiation with the time codes of contemporary society. Barikin finds in Huyghe's projects an alternate way of thinking about history -- a "topological historicity" that deprograms (or reprograms) temporal formats. Barikin offers pioneering analyses of Huyghe's lesser-known early works as well as sustained readings of later, critically acclaimed projects, including No Ghost Just a Shell (2000), L'Expedition scintillante (2002), and A Journey That Wasn't (2005). She emphasizes Huyghe's concepts of "freed time" and "the open present," in which anything might happen. Bringing together an eclectic array of subjects and characters -- from moon walking to situationist practices, from Snow White to Gilles Deleuze -- Parallel Presents offers a highly original account of the driving forces behind Huyghe's work. Illustrations note 57 color illus., 28 b&w illus. Amelia Barikin, a curator, writer, and art historian, is Senior Research Associate in the School of Culture and Communication at the University of Melbourne.